Follow the links on this page to read the full articles. For media inquiries, please contact the hosts. (Due to the heavy volume of requests and messages the hosts receive, response may be delayed). 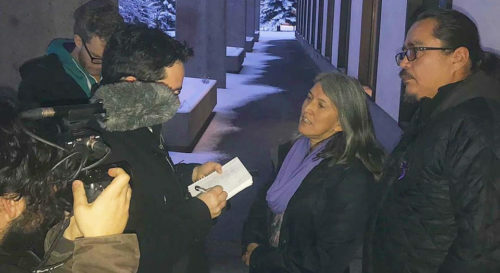 NDP critic bemoans RCMP intervention in anti-LNG protest in northern B.C. Justin Trudeau encounters large protest in Ottawa following RCMP arrests of pipeline opponents in B.C. Indigenous group raises alarm over potential RCMP raid in northern B.C. Here is a sample of media coverage the Unist’ot’en Camp has received over the years.